Kid-friendly destinations include Tubby Tubes and McGregor Links Country Club. Another day, another snowstorm. This winter has been one of the coldest and snowiest in recent history, but that shouldn’t keep you and the kids feeling cooped up or snowed in. 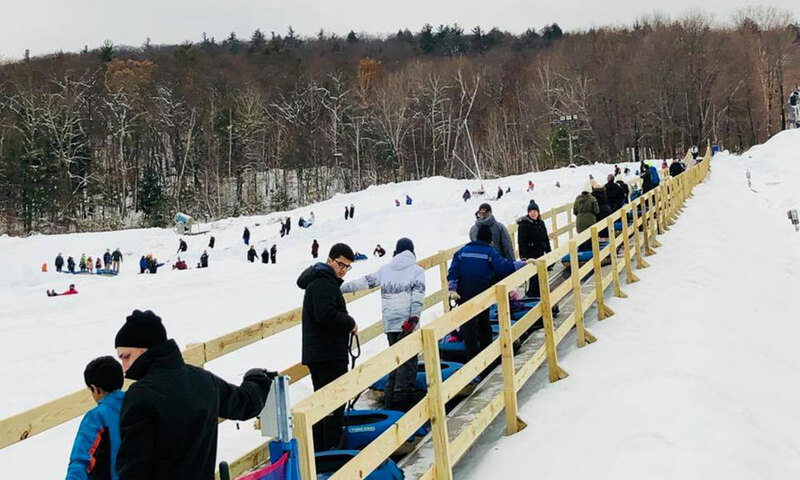 There are a countless winter-weather activities for the whole family to take part in in the Capital Region, and one of the most enjoyable is snow tubing (for the uninitiated, it’s sledding, but on a giant, inflatable tube). Here are six nearby snow tubing spots where you and yours can blow off some much-needed steam—all in the name of winter fun. If you have teenagers and younger children, West Mountain will be your best bet for a wide range of ages and athletic abilities. The popular ski slope also offers six enormous tubing lanes; two 1,000-foot-long tracks that drop 100 feet vertically; and four, 700-foot-long tracks that drop 65 feet. And don’t worry about that long trek back; the West Mountain staff will tow you up the mountain again, assuming you’re willing to wait in line for the service. An added bonus: Because West Mountain makes its own snow, those tubing lanes are open whether Saratoga’s streets are covered in fresh powder or a layer of thick, icy grime. For those tubers who catch some air and then a chill, West Mountain’s cozy lodge offers hot beverages, food and serene views of the foothills of the Adirondacks. Tubby Tubes in nearby Lake Luzerne takes snow tubing to the next level. Weather permitting, the company operates seven different tubing courses that vary in slope and number of turns, so whether your kids are ramblers or straight-shooters, they can all find their favorite lane. (If you have a young rambler in your brood, he or she will be over the moon about this seasons featured course, the “Whoopsie Woo.”) In addition to their septet of tracks, Tubby Tubes has two, 1,000-foot “Snow Coasters”; bunny slopes for your youngest or most skittish; and the Bigfoot Cafe, where the whole family can warm up by the fireplace with a cup of hot cocoa. 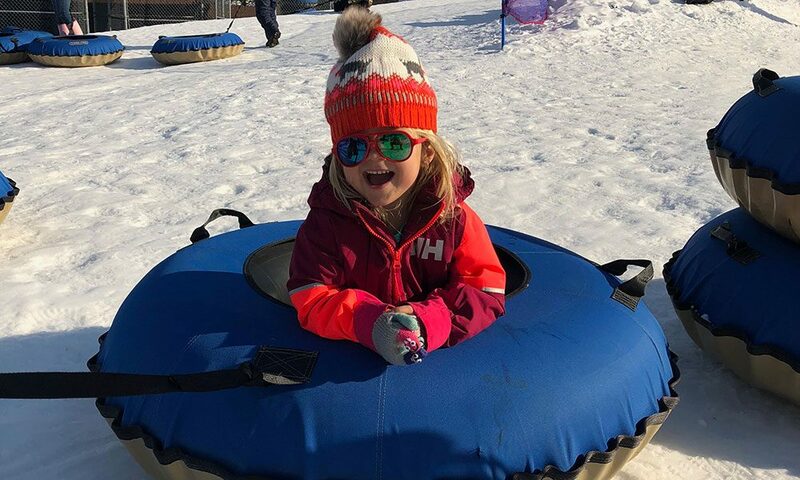 New York’s self-proclaimed “Coolest Little Ski Area,” Willard Mountain in Greenwich takes pride in its status as a small and personable business “where everyone still knows your name.” Like West Mountain, Willard is the perfect place for families trying to please both Alpine skiers and waddling toddlers. Take a run at its three 800-foot downhill tubing lanes, and afterwards, stop into the well-named “Thirst Aid Room,” where there’s a decent-sized kids menu, as well as a detailed one for adults (along with a smattering of adult beverages). While the above three require packing the family into the car for a day trip (and a fair amount of time and money), these last three options are the good, old-fashioned “free” kind. And they’re all a hop, skip and jump from downtown Saratoga. Built in 1921, McGregor is a semi-private course favorite among golfers of all skill levels during the snow-free seasons. But when winter sets in, you can swap tees for tubes. Word on the street is the hill by the 17th hole is a real doozy. A steep hill that rises behind this Ballston Spa elementary school has been a much-loved tubing spot for decades. But be forewarned; there will be no one there to tow you back up the slope. You have to hoof it on your own. Only the “coolest” parents will bring their tiny tubers to the treacherous slopes of Dead Man’s Hill, a.k.a. “The Big Dipper” off Rowland Street in Ballston Spa. But there’s some hope for the clammy handed: If you and your kids catch a case of vertigo up top, know that there’s a tamer natural bowl nearby, formed between the hills of Rowland St. and the Woods Hollow Nature Preserve at Northline Road.